between the peasants and lord. The peasants worked on land owned by the lord in return for fixed dues in kind, money and services. The manorial system prevailed in many European countries. Listen to this Computer side chat(8:50). Start here: watch the video(7:18) the bottom of this page, to see what manor life was like. 1. A.What was the manor? B. Describe what life in general was like in the manor. Great place to start: http://middleages.pppst.com/manorlife.html learning about manor life. 2. What were the different classes living in and around the manors and their roles in society? 3. Using the definitions from above, explain how the manor was both interdependent and specialized at the same time. Provide examples(the picture below might help you). 4. There were many jobs/crafts for craftsman/artisans in the towns. Pick four from the lists in the links below and explain what they did. 5. 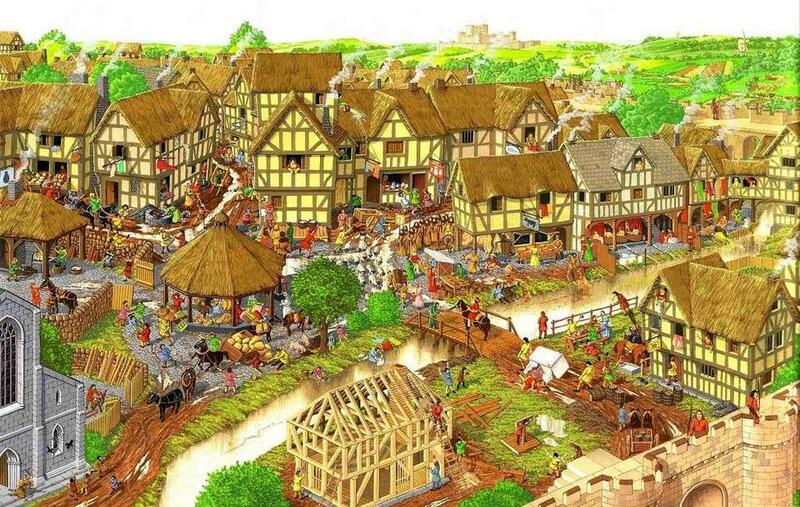 Discover what it was like in the Middle Ages. 6. A. What was the role of women in society? B. How did their rights compare to those of men? 7. A. What was life like for children? B. How was it different for children at each class? Look at health, education, work, etc..
8. How has life changed for you (remember your role) from the time Rome ruled(rememeber quest 1 when answering this question)? In your answer for number 9, be sure to describe in detail your daily life. You need to develop your character's life. Talk about what an average "day in your life" would be like. What kind of house do you have? What kind of food do you eat? What do your family members do during the day? Make sure to create a meaningful life that is based on the information you have learned about the Middle Ages throughout the first 4 Quests. 9. Describe your daily life in detail (remember your social role). character's life. Talk about what an average "day in your life" would be like. family members do during the day? Make sure to create a meaningful life that is based on the information you have learned about the Middle Ages throughout the first 4 Quests.